Adrienne Kruzer is a Registered Veterinary Technician (RVT) and Level 2 Fear Free Certified professional who has worked with opossums, skunks, ferrets, hedgehogs, chinchillas, reptiles, amphibians, a variety of bird species, coati, foxes, sugar gliders, flying squirrels, degus, hamsters, guinea pigs, rabbits, mice, rats, gerbils, pot bellied pigs, dogs, cats, and more for over a decade. Adrienne has worked at several multi-doctor, AAHA accredited, modern animal hospitals over the years, fulfilling many roles, including management, trainer, head tech, and more. She has also worked with a veterinary pharmaceutical company, educating animal clinics on how to use anesthetic drugs safely. She currently works for a veterinary nutritional supplement company, training staff, consumers, and veterinary professionals on pet nutrition. While in college, she completed an internship where she was trained to handle and treat birds of prey and then spent five years volunteering at a raptor center helping to care for and rehabilitate birds of prey, songbirds, native reptiles, and small mammals. Much of her pocket pet knowledge was also acquired during her several years in management at a local pet store prior to college. 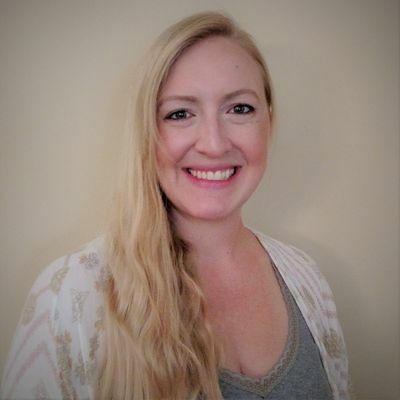 Adrienne also lectures on various pet topics, especially nutrition and exotic pet care, and has presented on various pet topics in Ohio, Maine, Florida, Nevada, California, Massachusetts, North Carolina, and South Carolina. She currently lives with a Pomeranian (Abby), two rescued leopard geckos (Cosmina and Pineapple), and a rescued Bengal cat (Calypso), along with her husband in South Carolina. Always an avid animal lover, Adrienne earned her Associate of Arts in 2006 and her Associate of Applied Science in Veterinary Technology from Cuyahoga Community College–one of the top veterinary technician colleges–in 2007. She is currently pursuing her Bachelor of Science in Business Administration from Baker College. She passed the Veterinary Technician National Exam in 2007 to be awarded her license as a Registered Veterinary Technician in the state of Ohio, passed the state examination to become a Registered Veterinary Technician in the state of North Carolina in 2016, and currently completes several hours of continuing education courses to stay up-to-date on medical advancements each year. In 2016, she became a Fear Free Certified professional, and in 2017 she became a Level 2 Fear Free Certified professional. Adrienne has contributed tips and photos to the Veterinary Technician magazine, wrote an article titled "Psittacine Self-Mutilation" that was published in the 2009 winter issue of the NAVTA Journal, and had an article called "Reptiles in the Veterinary Office" published in the Finnish Herpetological Society's journal. She was selected as a case report finalist with NAVTA in 2015 and presented on pancreatic disease in a pet skunk at an international veterinary conference (the NAVC). This case report was also published in the NAVTA Journal in the April/May 2015 edition.